Nick Easingwood and Mark Baker outline the importance of designing a modern and effective solution to Papua Nedw Guinea’s electricity supply. The formation of the Papua New Guinea electrification partnership (PNG EP) is an important move in the right direction for electricity supply in the country. The agreement will be critical for the implementation of an effective power structure to drive continued growth and success in the decades to come. The deal adds to growing economic momentum in the country, with ANZ Research forecasting real gross-domestic product growth of 1.3 per cent in 2018, supporting a decade of continuous growth. Backed by PNG, Australia, Japan, New Zealand and the United States, the partnership centres on improving power infrastructure to connect 70 per cent of its population to reliable electricity supply by 2030 compared with the current 13 per cent. Australia will reportedly commit A$25 million (K60mil) in the first year of the US$1.7 billion (K4.05bil) plan, supporting the rollout of fibre optic cable on the grid. 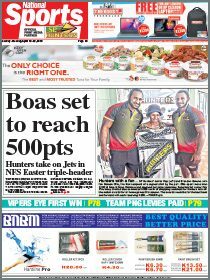 While the details of the partnership are still being defined it is clear the PNG EP will fund a broad range of projects under the Papua New Guinea government’s National Energy Rollout Plan which hopes to provide power to 70 per cent of all homes by 2030. It is understood public private partnerships (PPPs) will be considered for several project procurement options by the five partners. Participating countries will carry out scoping missions next year to identify various options to present to the partnership. The report suggests, as off-grid solutions improve in cost, efficiency and reliability, the area for which grid extensions make sense decreases. In modern Papua New Guinea, people off the grid outside urban areas would be better served by off-grid solutions. Hydro generation has been touted as a solution for PNG’s existing grid networks but low early utilisation is likely to mean other solutions are preferable. Gas, biomass and solar (and even complementary energy storage solutions) can provide more cost-effective generation at a scale which could be ramped up over time. improvements in cost and reliability. Indeed a number of larger-scale agribusinesses in PNG use agricultural waste products such as bagasse or palm oil husks to generate their own power. Over time they can form the basis of local grids and be appropriately integrated into the provision of other basic needs including water. Importantly these new technologies support PNG in meeting its Paris commitments to reduce carbon emissions. For agricultural processing energy from diesel generation is 150 per cent more expensive than from biomass generators. Similarly, diesel is 50 per cent more expensive than a twinned solar/storage setup in village settings. But the benefits extend beyond cost. As they are self-contained, generation plants based on these technologies allow diverse, decentralised supply approaches well matched to local needs. A report by ANZ, Bold Thinking: Imagining PNG in the Asian Century, published in 2013, identified the need to integrate PNG’s infrastructure development with key agricultural and minerals projects. The current system of tariffs has the benefit of simplicity due to it being a government-set tariff for all PNG electricity users. However, both the process through which tariffs are set and the incentives they produce act to delay essential investment. Reforms such as moving on-grid tariffs closer to true costs so they cover operating costs and a fair return on capital or allowing geographically differentiated tariffs would be beneficial. Introducing an explicit and well-designed subsidy framework would also help as maintaining affordability under differentiated tariffs will require a change in the way subsidies are set. This would primarily involve supporting the higher cost areas such as provincial towns or remote villages with greater subsidies. Private sector involvement will be vital in creating the competition and innovation needed to expand access. A structural separation of the vertically integrated PNG Power Limited (PPL), the retail generator and provider in the country, into generation, transmission and customer billing units would help improve its performance and reduce actual and perceived conflicts of interest between PPL and new entrants. Over time PPL may also benefit from privatisation, although there is a case the transmission (that is, construction and maintenance of the power grid) could usefully remain in public ownership, particularly if there is support via the PNG EP. Nevertheless the private sector will only become involved if there is an enabling environment conducive to investment. This requires not only clarity and consistency around the prevailing regulatory environment but will potentially require changes to PPL’s payment obligations. 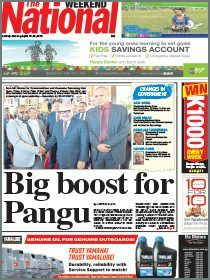 The PNG EP is a positive initiative for the country. It is now critical an efficient power structure is implemented to ensure PNG’s continued growth. Mark Baker is managing director of ANZ Papua New Guinea. The views and opinions Barker has expressed here are his and may not necessarily state or reflect those of ANZ.